Sheesh.....moving is cold, hard, & exciting! The painting is done! Well for the upstairs at least. I picked up all the drop cloths & vacuumed up the layers of cat hair from the previous owner. I dunno if I should have vacuumed before we painted but there are little bits of dust/cat hair (yuck!) painted into the base boards. Oh yeah, walls were painted down to the baseboards....what a hard thing to paint! Let me tell you though, one coat paint in any shade of white & probably every light color doesn't work! But it's done now & now we're onto other projects. This whole week has lead to a bit of Blogger's Block, which I guess is good because it is great for generating tips on staying motivated for Blogtober.......but it's bad because sometimes I don't know what to say! Make a List - It could be a wish list, a play list, or your favorite bands, movies, dresses, etc. It's a simple post that will generate some ideas & you'll share a bit more about yourself. Blogging is about connecting with readers too, so making a list like this will share more about you so readers will get to know you better. Try Something New - Have you tried a new perfume? Have you tried a new DIY? Share it! Have a review? Share it! Everyone wants to know whats what when it comes to things in your niche. Share new to you blogs that have inspired you or a pretty awesome product because, well, it's pretty awesome. Personally, I love when bloggers share with me something they've found that is awesome. Sometimes bloggers are compensated or given things to review (usually they will tell you this before but for the most part their opinions are 100% their own) but others do it because they've found something awesome to share. One of my favorite series like this is from Mandy of the Miss Indie Blog called Yay or No Way. She gives an honest review of the things she's tried during the month. Make a Vlog - While I've only done this a handful of time these are so much fun to do. Tell your readers about yourself or combine the two topics above: a video list or a video review. They are pretty fun & you learn to take yourself less seriously. If you haven't done one, do it! It's pretty fun to share your voice. 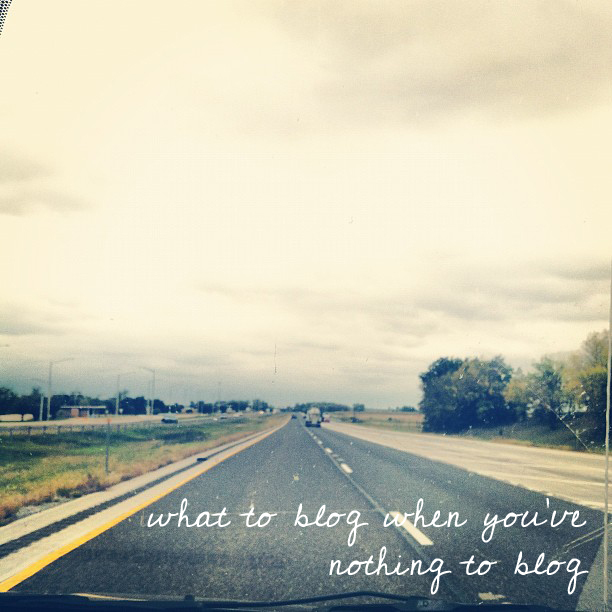 Blogger's Blog can set in at any time so have these posts floating in the back of your mind. You can always share a list & always try something new. It will add variety & the same old, same old will get a facelift.